In Need of Commercial HVAC Services?You’ve come to the right place. 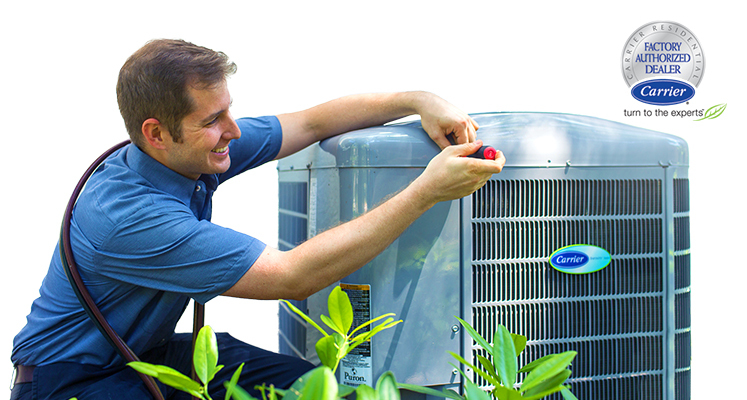 Our extensive list of residential air conditioning services keep your home comfortable. Whether you need services for a local business or a 1 million square foot building, we can get the job done. We're currently recruiting for new Energy Air team members. Interested in joining a thriving company dedicated to helping its employees grow professionally? If you're committed to serving others through superior professionalism, safe practices, performance and customer service, we want to meet with you! We’ve been providing quality HVAC services for nearly 40 years, and we’ve got the awards to prove it! 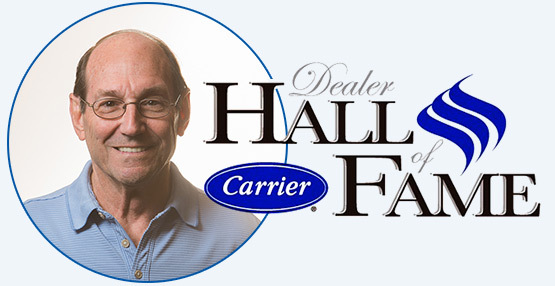 Our founder, Chuck Kulp, was even inducted into the Carrier® Hall of Fame, an award presented to industry-leading contractors. Want to see more of our accolades? Check out our awards below. Washington Shores was a great project for the Williams Company and Orange County Public Schools continues to be one of our most important clients. Your performance on the project helped us achieve our project goals! Energy Air, Inc. was an integral part of this success and I wanted to thank you and all the folks on your field team for an outstanding project! R.D. Michaels appreciates our relationship with Energy Air that has spanned over ten years and numerous projects as well. It has been Energy Air’s determination to coordinate work and man the projects accordingly to meet all schedule requirements on those various projects that has contributed to our ability to provide the highest quality of work in the most efficient manner achievable. Your cooperation and ability to address project demands have been true assets to the projects we have worked on together. Again, we appreciate the efforts of Energy Air and look forward to continuing our successful relationship in the future. This letter is to personally thank you and your team for your efforts and excellent workmanship at the SkyHouse Apartments project located in downtown Orlando, Florida. Your firm played a key role on the team that made this project an ultimate success for the developer, the general contractor and the City of Orlando. We look forward to our future endeavors together, including the Skyhouse Apartments project located in the Channelside district of Tampa, Florida. Energy Air has been one of the best HVAC contractors I have worked with. They are always willing to please. They were able to get parts quickly for any and all changes that occurred. They worked excellent with the other trades, especially the roofers and the electricians. When I asked for more manpower or asked for extra man hours there was not an argument, they always stepped up to the plate. I am able to say that all trades worked excellent together and in conjunction to pull off a task that others may say was impossible. They all also worked great with the inspectors as well to make sure everything was ready when the inspectors arrived. This is to recognize the excellent work done by installers Mel and Scott at my home. The guys showed up on time and diligently removed the old AC System and installed my new Carrier 4-ton unit quietly and efficiently. They did a great job and cleaned up afterward. I am impressed! Not only was your pricing competitive but everything you described in your estimate was completed and work was outstanding. Thus far, the unit has been operating flawlessly and my wife is very pleased with the comfort of our new AC system. Thanks again to you and the guys. At Energy Air, we let our work do the talking! From planning and design, to scheduling, to special certifications and more, our team has the experience and knowledge to meet the specifications of all types of buildings and structures. Check out some of the residential and commercial projects we’ve completed below. Financial restrictions shouldn't hinder your home or business' comfort. With the Carrier® credit card, you can buy today and pay later. Excellent service and selection when it comes efficient low cost heating and air conditioning service. Highly recommended. Love Saving Money? We Do, Too. At Energy Air, we’re always offering deals and specials for both Residential and Commercial HVAC services. Check out our current specials below.